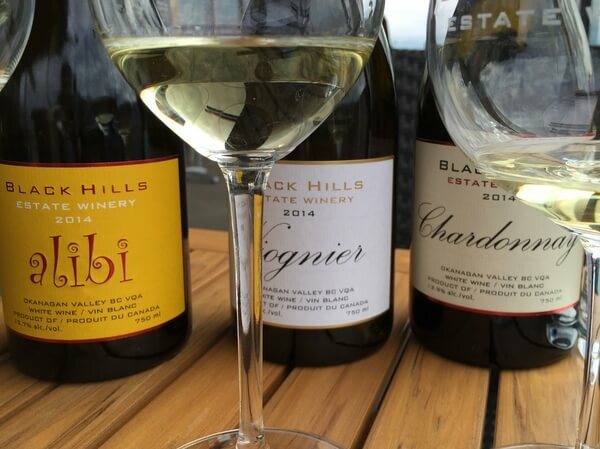 When you drive east from Vancouver over the Coast Mountains and into the sunny Okanagan Valley, you might think that you took a detour and ended up in Arizona or in California wine country. Particularly if you head into the South Okanagan region just north of the U.S. border, you may be surprised to find that you’ve driven into a desert. Yes, a desert. A desert that’s filled with wineries. And yes, you’re still in Canada. 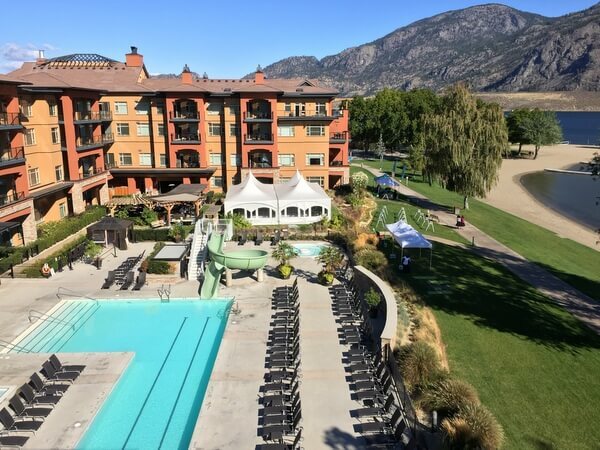 Whether you want to go wine touring or simply get away to the sun, the mild, dry region around the town of Osoyoos in British Columbia’s South Okanagan makes an excellent destination for a getaway at any time of year. It’s particularly lovely in spring and fall when the days are warm and the nights crisp and cool. 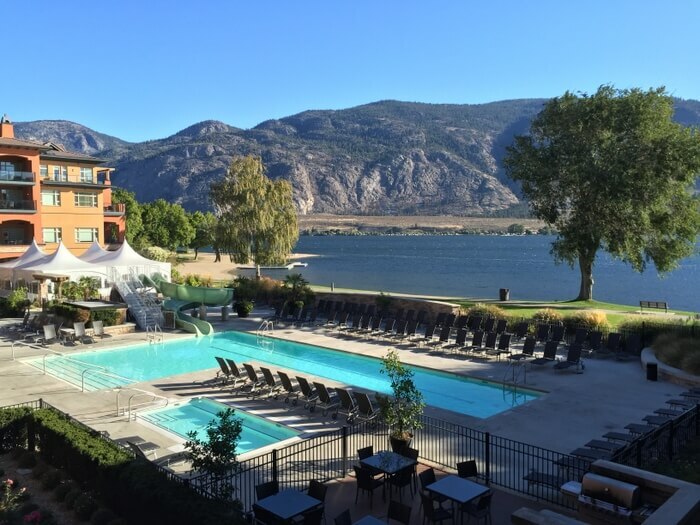 One of the nicest accommodations in Osoyoos is the condo-style Watermark Beach Resort, a 153-suite property overlooking Lake Osoyoos, which has everything you need for a lakeside getaway. In the main lodge building, the family-friendly suites have one, two, or three bedrooms. Decorated in beachy terracotta or sage green with honey-colored wood furnishings, they’re not super-deluxe, but the design is contemporary and comfortable. 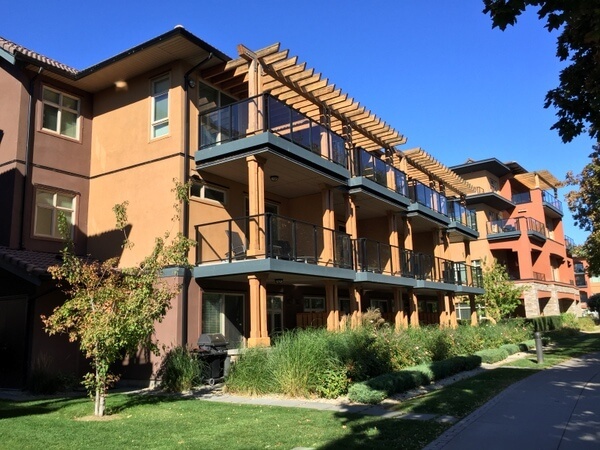 All have balconies or patios, with the best units facing Lake Osoyoos or the large outdoor pool. Wi-Fi and local phone calls are complimentary, as is parking in the resort’s underground garage. 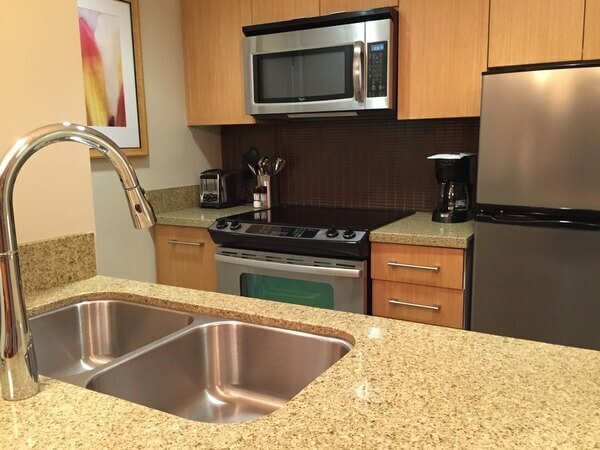 The units have full modern kitchens, with microwaves, coffeemakers, toasters, and enough dishes and pots and pans to feed the family, along with in-suite washer-dryers. Another accommodation option for families or groups of friends traveling together is one of the beachfront villas. The furnishings in these 30 townhouse-style condos are similar to those in the main building, but since many of these units are spread out on more than one level, they feel a little more spacious. They’d comfortably accommodate multiple generations on holiday together. 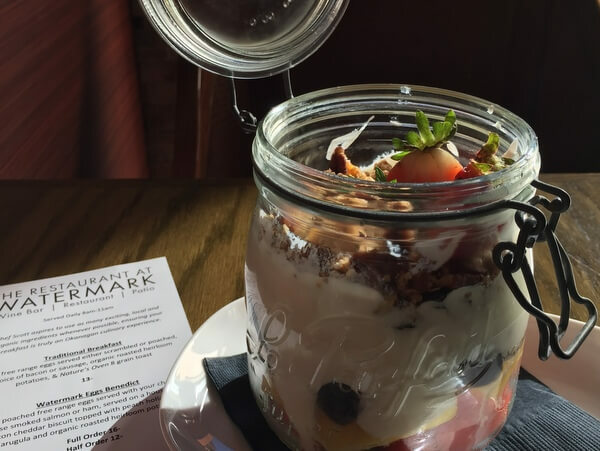 The Watermark Restaurant, which has a lovely courtyard terrace, uses lots of local products in dishes like organic chicken pie, steak with seasonal root vegetables, or a quinoa and cauliflower salad with locally-produced goat cheese. An excellent snack is the “potted” salmon spread with pickled fennel and garlic crostini, especially if you pair it with a glass of local wine. In the morning, you can fuel up with traditional eggs and bacon, or dig into a mason jar full of fruit, yogurt, and granola. Watermark offers cycling tours, foraging excursions, cooking classes, and other activities for guests throughout the year. Prefer to venture out on your own? Rent a bike and go exploring. You can drop in for a yoga class in the onsite studio or work out in the fitness center. 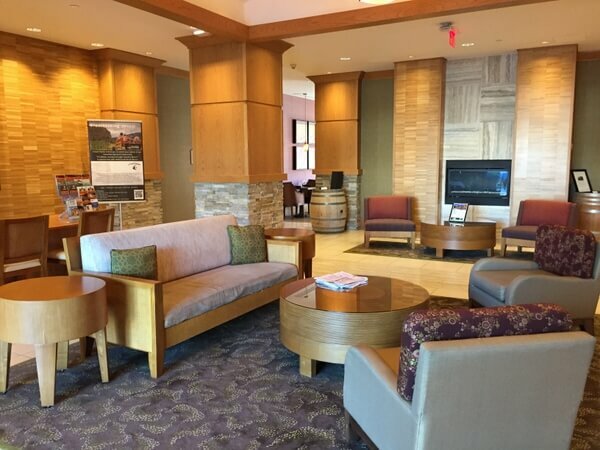 In the summer, complimentary wine tastings are offered in the lobby. 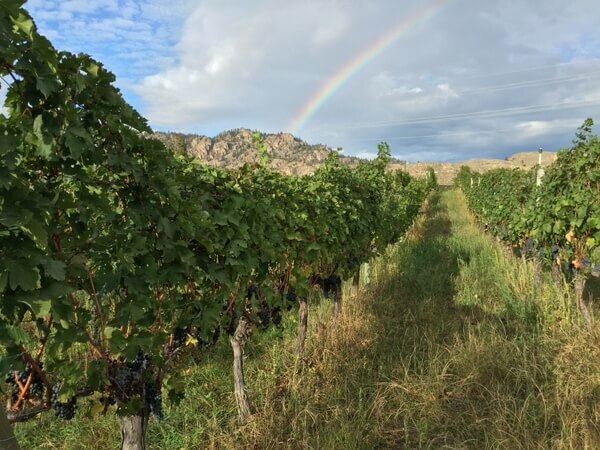 Some of the best wineries in the Okanagan are located in the Oliver-Osoyoos area, from cult favorites like Black Hills, Maverick, or Moon Curser, to larger producers including Burrowing Owl, Tinhorn Creek, or Jackson-Triggs. Canada’s first aboriginal-owned winery, Nk’Mip Cellars, is here as well. You could spend your entire holiday wine-tasting and touring, but the area is also rich in aboriginal culture. Learn more about the region’s First Nations at the Nk’Mip Desert Cultural Centre. Or take a walk through the scrubby grasslands at the nearby Desert Centre. Of course, there’s plenty to do at Watermark, too, even if your idea of “activity” is to pull up a chaise by the pool or stroll along the lakeshore. Just remember, at this desert wine-country resort, you’re really still in Canada. Springtime rates at Watermark Beach Resort start at CAD$199/night (US$145) for a one-bedroom unit and CAD$259/night (US$190) for a two-bedroom unit. With current exchange rates, a stay here is an excellent value for U.S. travelers. Youc an also compare rates and book through Priceline or agoda.com. 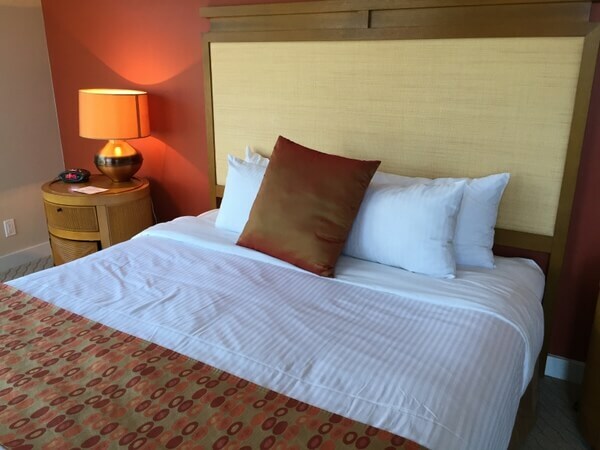 Hotel review by Vancouver-based travel, food, and feature writer Carolyn B. Heller, author of the books Moon Handbooks: Ontario (now available in a new 2nd edition) and Living Abroad in Canada. Her latest book, Moon Vancouver and Canadian Rockies Road Trip, will be published in 2016. Photos © Carolyn B. Heller. Watermark Beach Resort hosted my stay for review purposes.